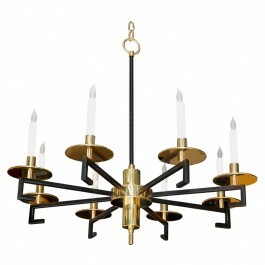 Greek Key Chandelier shown in brass finish and black powder coating. 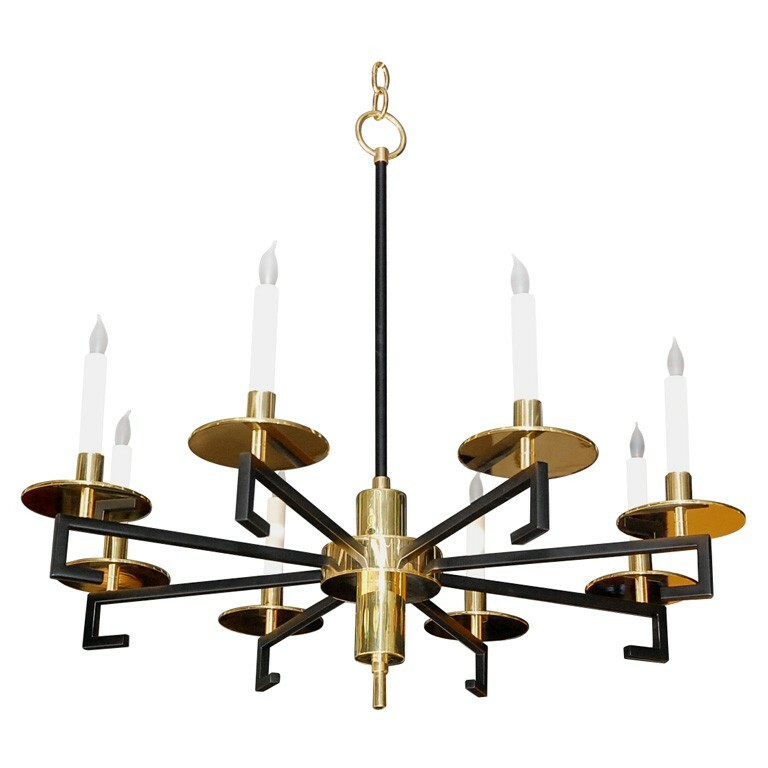 Finish: Brass with black powder coating, or specify. See also version shown in polished nickel. Shades: Available, inquire or see as for version shown in polished nickel.